GE Sensing’s DewPro line of moisture and humidity transmitter has been given a face-lift. 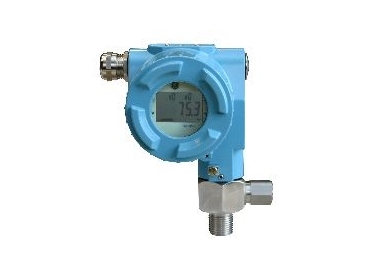 Updated to more closely respond to customers’ needs, these flow-through and insertion transmitters now offer larger operational ranges, while providing a safe solution with certified packages rated for hazardous area requirements. Different versions of these compact, rugged, loop-powered transmitters can measure either dew point temperature from -90°C to 10°C with a proven planar aluminium oxide moisture sensor. This sensor is suitable for tough industrial applications due to its calibration stability or relative humidity from 0 to 100% in process temperatures up to 150°C. The device uses a polymer-based capacitive sensor that is immune to condensation upsets common in high humidity applications. DewPro transmitters are available with intrinsic safety or explosion-proof certifications to ensure the safety of all customers, especially those interested in installations in hazardous rated areas. The loop-powered transmitter design itself allows for simple installation and easy 2-wire electrical connectivity, which leads to an economical solution on a per measurement point basis. Typical process and industrial applications include the measurement of moisture in dry air systems, glove boxes, specialty gases, blast furnaces, grain, gas turbines, environmental chambers or any other drying process. To ensure years of continued service life, GE Sensing offers options for either factory or field calibration service or can even offer the appropriate calibration system hardware to allow customers to perform their own on-site calibration.